When you’re shopping for a new car, it’s likely you want the best of the best. Well, that now means you should be checking out the Mazda models we have on our lot because Mazda recently achieved the Best Car Brand of 2018 by U.S. News & World Report for the third year in a row. U.S. News determined the winner of this prestigious award by averaging the overall score of every brand’s model that fit the award class. These scores are based on the publication’s own rankings, which e reliability data, safety scores, and the consensus of the automotive press to determine a vehicle’s score. Celebrate this latest award for the brand by stopping by El Dorado Mazda to test drive your favorite model. 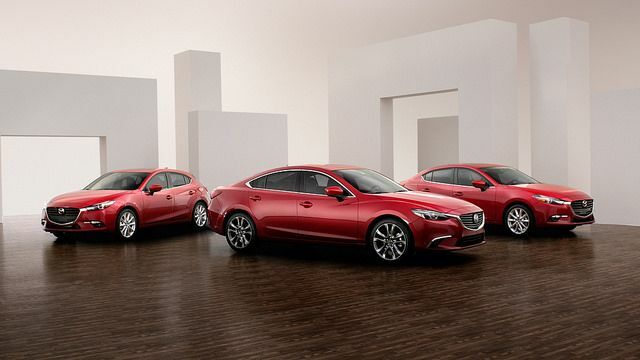 With an award-winning lineup including vehicles like the Mazda3, Mazda6, and MX-5 Miata, Mazda has positioned itself to crush the competition—and critics have taken notice. In fact, U.S. News & World Report recently named Mazda the Best Car Brand of 2018. The automaker is no stranger to this recognition; in fact, 2018 marks the third year in a row that Mazda has claimed this fiercely coveted title. Why has Mazda won this distinction for three years running? Managing editor of U.S. News Best Cars, Jamie Page Deaton, seems to think it is the performance angle that the manufacturer has taken with its models, including its sporty handling. Deaton also points to the quality of the interiors of Mazda models, especially the Mazda3, Mazda6, and MX-5 Miata—without sacrificing the brand’s characteristically low prices. Specifically, Deaton highlighted the Mazda3 model’s efficiency and easy-to-use infotainment system. So how was Mazda chosen scientifically? U.S. News & World Report editors looked at each brand’s lineup of cars only (which excluded trucks, SUVs, etc. ), and averaged their scores, which are based on reliability data, safety testing, and critical reviews. Mazda came out with the top scores once again. Witness the pleasing performance, graceful contours, and contemporary cabins of the 2018 Mazda lineup when you visit us at El Dorado Mazda. In case you didn’t know, Mazda CX-5 safety features include a range of intelligent upgrades, which is a reason the CX-5 earned a Top Safety Pick+ rating from the Insurance Institute for Highway Safety (IIHS). The Top Safety Pick+ rating is the highest designation a car can receive from the IIHS, and this award is evidence of the impressive safety features possessed by the CX-5. According to Mazda, the CX-5 has received this award from the IIHS five years in a row. Safety features include Smart City Brake Support, standard LED headlights, and more. In order to receive the IIHS Top Safety Pick+ rating, the CX-5 had to earn a “good” rating in five areas, as well as “advanced” in front crash prevention and “acceptable” or “good” in headlight ratings. “Our Mazda Proactive Safety Philosophy guides us to develop cars and crossover SUVs that are nimble and direct-feeling to help a driver avoid incidents altogether. Our vehicles are designed and engineered to help protect the driver and passengers if a collision happens,” said Masashi Otsuka, VP of research and development at Mazda North America. Other new safety features include Mazda Radar Cruise Control to help you maintain a safe following distance, Lane Keep Assist, and Traffic Sign Recognition to ensure you stay alert on the road. To see the range of new safety features on the 2017 Mazda CX-5, visit El Dorado Mazda. The latest 2017 Mazda CX-9 safety features are more extensive than ever before, including updated driver assist technologies. In fact, the Mazda CX-9 recently earned a Top Safety Pick+ rating from the Insurance Institute of Highway Safety (IIHS), one of the top awards in the industry. With three rows of seating, tons of power, and extensive safety, the Mazda CX-9 is perfect for virtually any driver. According to Mazda, the car earned “good” ratings on collision and occupancy tests, including the latest headlight standards from the IIHS. With standard LED lighting, the Mazda CX-9 also ensures you always have great visibility. Other features include optional systems like automatic emergency braking, Smart Brake Support, predictive i-ACTIV all-wheel drive, and more. In addition to remarkable safety features, the Mazda CX-9 excels in other areas. The model was named one of the “10Best Trucks and SUVs” by Car and Driver, and it also earned a spot on WardsAuto’s “10 Best Interiors” list. If you’re looking for a truly versatile ride, check out the new 2017 Mazda CX-9 at El Dorado Mazda today. If you are looking for a three-row crossover that both performs well and look good, the 2017 Mazda CX-9 is what you need. Earlier this year, the CX-9 earned a Wards 10 Best Engines Award for its SKYACTIV-G 2.5T engine, and now it is being honored again with a Wards 10 Best Interiors awards. “We’re thankful that WardsAuto recognized CX-9 as a ’10 Best Interiors’ winner, as it speaks to the success of our fledgling ‘Mazda Premium’ brand focus and the evolution of our KODO—Soul of Motion design language,” said Julien Montousse, director of design, Mazda Design Americas, who personally led the design of CX-9’s interior. The 2017 Mazda CX-9 went through a complete redesign to launch the second-generation of the popular crossover. It offers numerous available luxurious amenities, including Auburn Nappa leather, LED interior accent lighting, genuine rosewood and aluminum trim, and more. 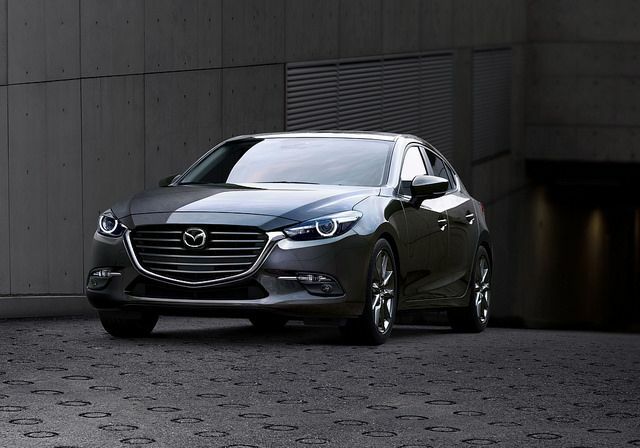 With these upscale features on the Grand Touring and Signature trims, Mazda is seeing a lot of new customers, including many from premium and luxury brands. In fact, about 60% of CX-9 buyers are opting for these top two trims. Come see the premium interior offered in the 2017 Mazda CX-9 at El Dorado Mazda today.